During childhood, winters were spent running around the house with my grandmother chasing me. “Just one bite. 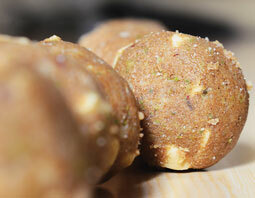 It will save you from cough and cold,” badi mammi would say, carrying a laddoo made of gond (edible gum) in her hand. She knew how to make the laddoo from the age of 10, when she was married. “Your dada (grandfather) used to love them,” badi mammi told me once while forcing one down my throat. I had nothing against laddoos, just the idea of adding gond to a food item was difficult to digest. But today I know its importance. Gond is a natural gum made of hardened sap taken from two sub-Saharan species of the acacia tree, Acacia senegal and Acacia seyal. The tree grows all over Africa and on the Indian subcontinent, in Punjab, Maharashtra, Rajasthan and Gujarat. Thanks to its good emulsifying, stabilising and binding properties, the gum is a key ingredient in bakery items, ice-creams, soft drinks, medicines and beauty products. It makes newspaper ink more cohesive. Beer, energy drinks and wine coolers also contain gond. 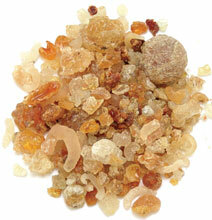 The gum is available as pearly yellowish translucent crystals of varying sizes. The bigger the crystals, the more expensive they get. Its price varies from Rs 200 to Rs 500 per kg. “Most of the demand for gond comes from the food industry,” says Roshan Lal, a gond trader in the wholesale market of Chandni Chowk in old city area of Delhi. In winters, gond demand grows because of its properties to keep the body warm, he adds. Besides protecting against cold, gond has been used to heal wounds. It is also known to treat cardiovascular ailments and chronic kidney diseases. Doctors recommend gond for patients of celiac disease—a digestive disorder that occurs when the immune system mounts an inflammatory response to gluten, found in wheat, rye and barley. A study published in The American Journal of Cardiology says that gond can help lower cholesterol. The use of gond in medicine dates back about 5,000 years to the time of ancient Egyptians. Traditionally, gond laddoos are given to new mothers to meet their nutrition needs, but there is not enough evidence to prove this. Deep fry gond in ghee on medium heat. Stir it constantly to ensure that every piece is fried. The gum fluffs up to almost double the size within seconds. Keep it aside. Crush the fried gond to a fine powder. In the same ghee, add euryale seeds. Let them also puff up. Crush them coarsely and keep them aside. Roast and crush nuts and dry melon seeds. Heat the remaining ghee. Roast flour in it until light brown. Turn heat off. Add crushed gond to the flour and continue stirring. Add rest of the ingredients (sugar, cardamoms, euryale seeds and nuts) and mix well. Allow the mixture to cool a bit. Take some lukewarm ghee in hands and small handfuls of the mixture and roll them into laddoos of size 15 to 20 mm in diameter. Store the laddoos in an airtight box. just want to tell you that there needs to be a bit of improvement in the details on the actuality of Gums. Chandani chowk traders are actually unaware and usually speak of incorrect details as they do not want to disclose the actual facts.